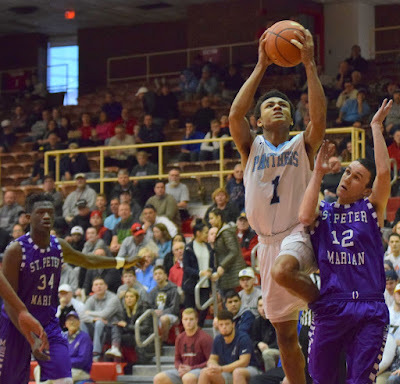 Franklin sophomore Jalen Samuels rises up to the basket in his team's win over St. Peter-Marian. 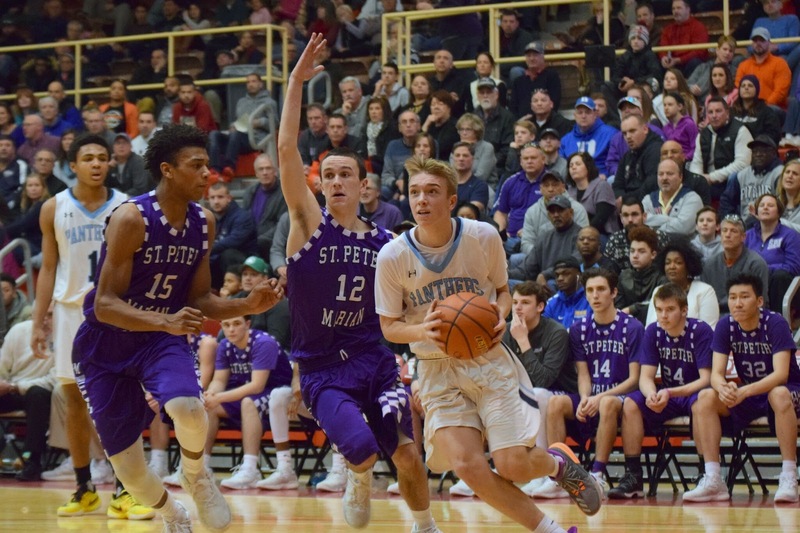 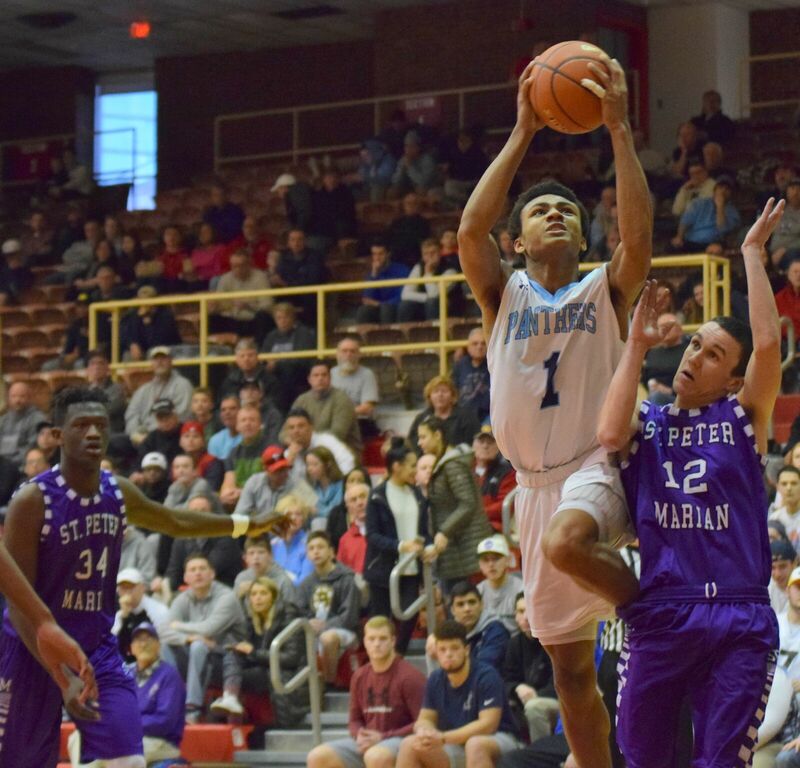 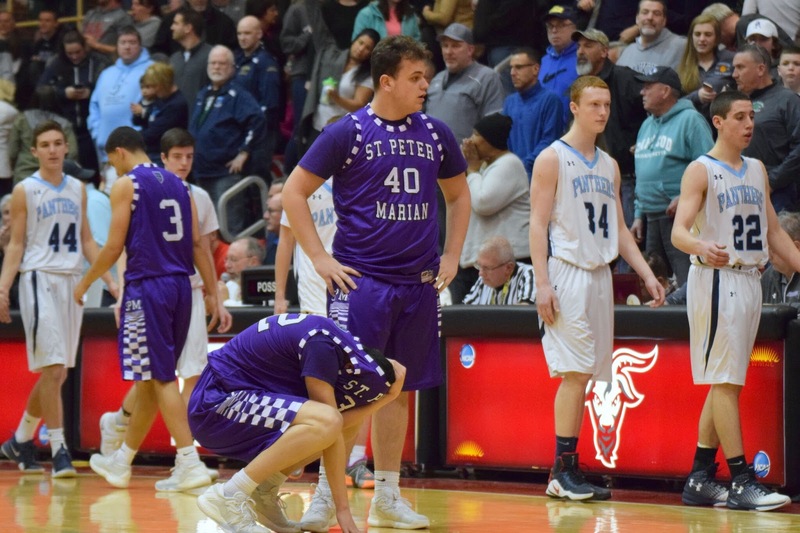 Earlier today, Franklin overcame a strong start by St. Peter-Marian to punch its ticket back to the Division 1 Central finals. 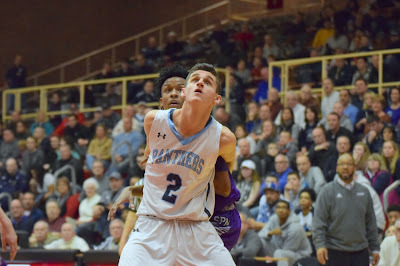 You can check out our full story on the Panthers' big win here, or continue below for our photo gallery from the game. 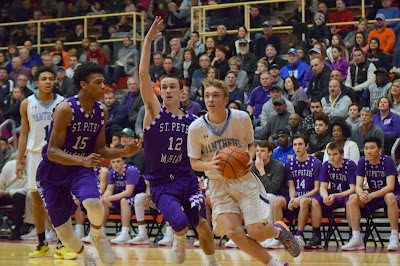 You can click on any photo to enlarge. Franklin freshman Chris Edgehill drives to the basket. 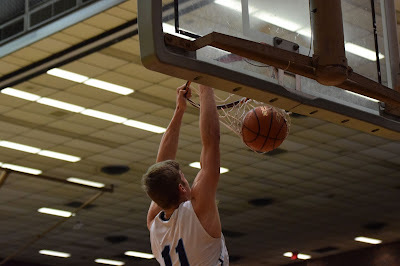 Junior forward Connor Peterson throws down a dunk for Franklin. 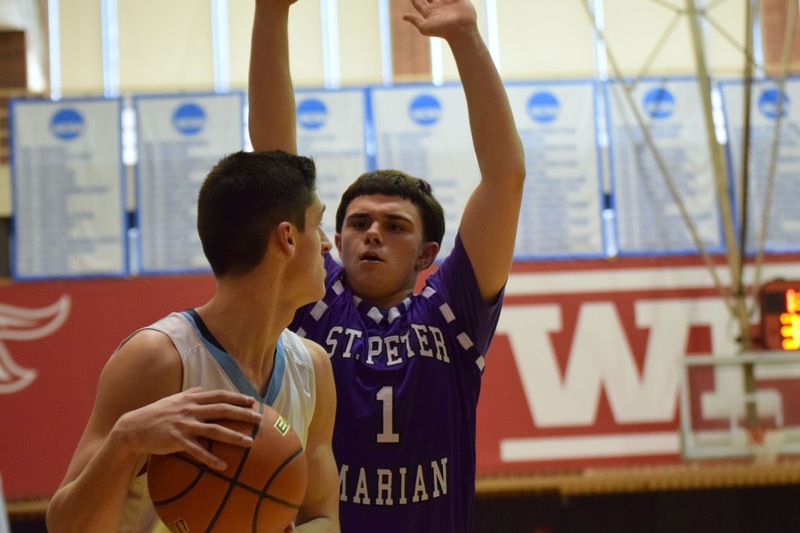 St. Peter-Marian sophomore Robert Moossa-Letourneau defends a Franklin inbound pass. 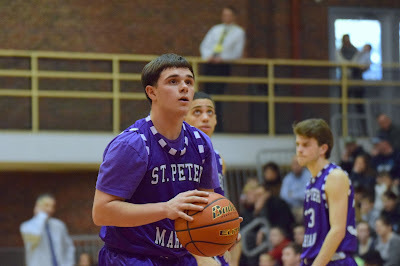 Moossa-Letournea attempts a free throw for SPM. Franklin senior Josh Macchi boxes out for a Panther rebound. 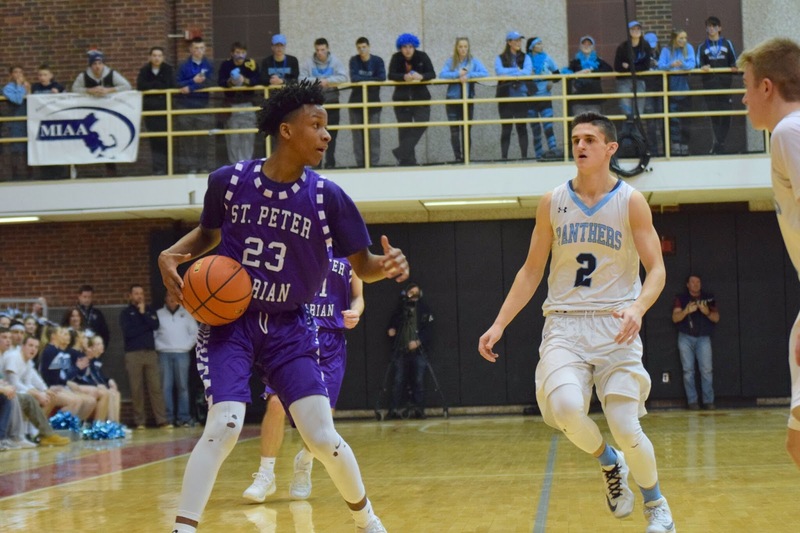 St. Peter-Marian junior Shamar Simms handles the ball for the Guardians. SPM seniors Yixiong Hao and Josh Pace (40) in their final moments as high school basketball players.